Version 1.1.4 of Curse of the Azure Bonds is now up on the Google Code project site (Windows only so far). 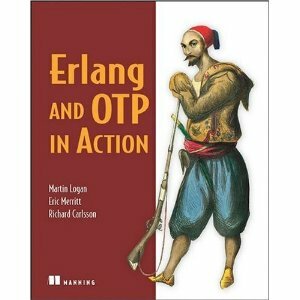 In August, I was feeling spontaneous due to my new found love of purchasing stuff from Amazon and pre-ordered “Erlang and OTP in Action” with an eagerly awaited the September 1, 2010 shipping date. I was even hoping it might arrive before my trip to New Zealand, thus I could read this book in my spare time. Oh happy times. Today another blow, release date slipped again, now I get to wait till November 08 – November 15 for delivery, really not sure I care any more. The value of spontaneous purchases should be realised before the guilt’s kick in. Evil pre-orders. And the problem plaguing my mind is, most of the purchase was done with a voucher, that I’m not sure I have any more because I brought something…, so if I cancel my order do I lose my voucher money? How does that get refunded? p.s. Wow, this book seems to be all over the file sharing networks. updated 1 Nov: Delayed again, Estimated arrival date: December 09 2010 – December 15 2010, sigh! update 22 Nov: It has been shipped, should get by 30th November! After two weeks of aftershocks, my shockingly interrupted work trip is at a end. Got the most valuable tasks done, but the little things dropped through the cracks. * actually I could have travelled via Australia to get to Christchurch, but that would have made four more hours of air travel, just for $150 USD return.